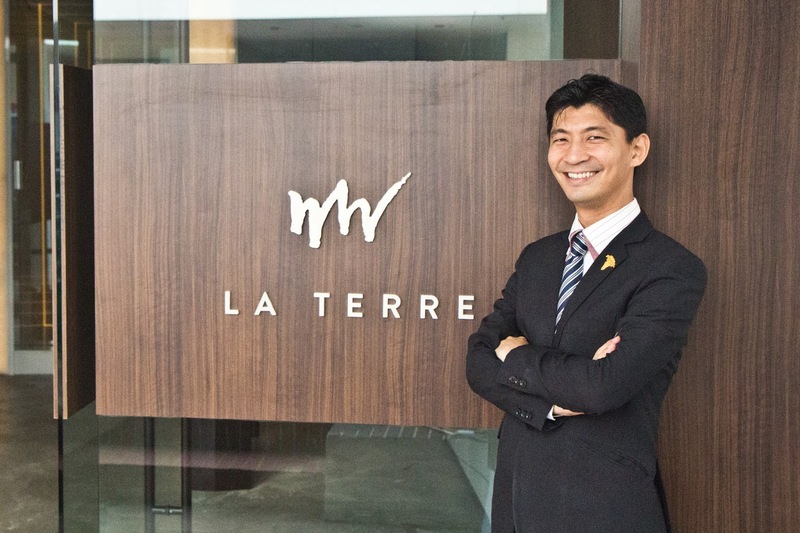 It commenced operation on 23 Nov 2015, La Terre. 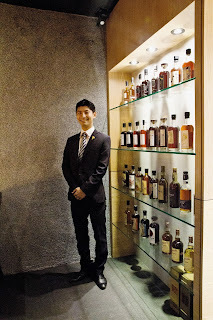 It’s the name of the new wine and whiskey bar located at 11 Upper Circular Road, #01-01. Its got an almost nondescript appearance on the outside; so one can’t be faulted for giving it a miss when walking along the corridor :) The interior however is another matter; renovated with a mind to provide a quiet, clean, cosy ambience in a minimalist style for patronizing wine enthusiasts and whiskey lovers. The Head Sommelier and co-owner of this new establishment is Daisuke Kawai, a well known and certainly a well liked figure in the local wine scene. Having more than 20 years experience in the F&B industry (both abroad and in Singapore), he brings along with him a wealth of wine knowledge and experience. 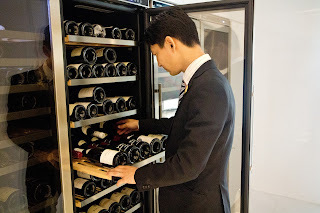 Over the years he has attended various wine courses to improve his wine knowledge and participated in several locally held sommelier competitions as well. 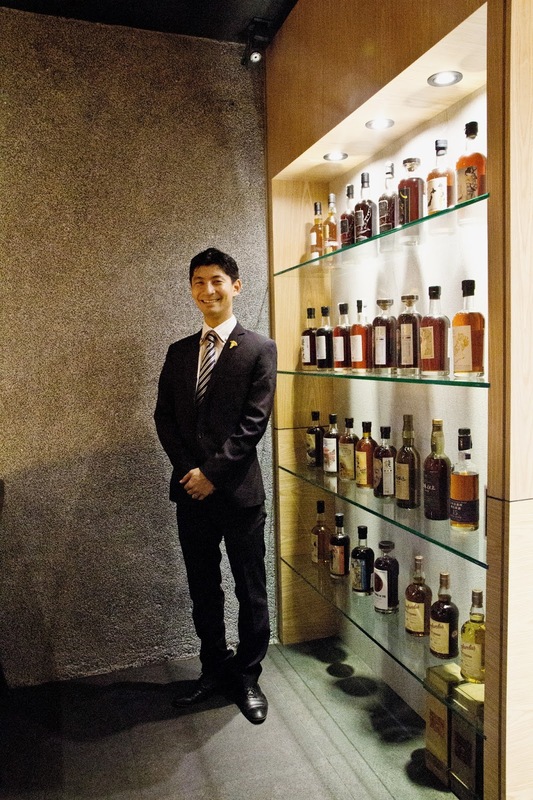 When asked about the name given to this wine & whiskey bar, he explained that the word ‘terre’ means earth in Latin. He found it appropriate as the produce used to make wine and whiskey are grown on earth. 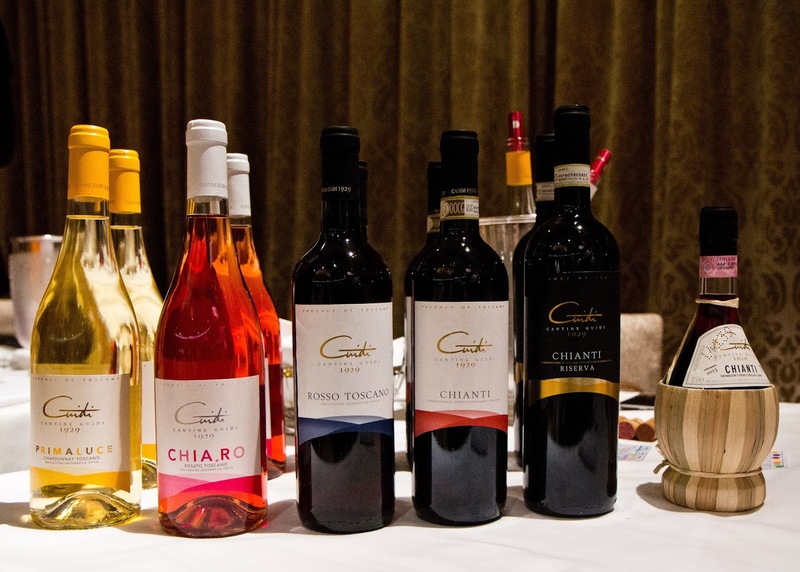 His mission with this establishment is to offer a place where new wine enthusiasts find themselves comfortable to taste and learn about wine. He plans to start tailored wine workshops in the near future to share about wine from different wine growing regions as well. 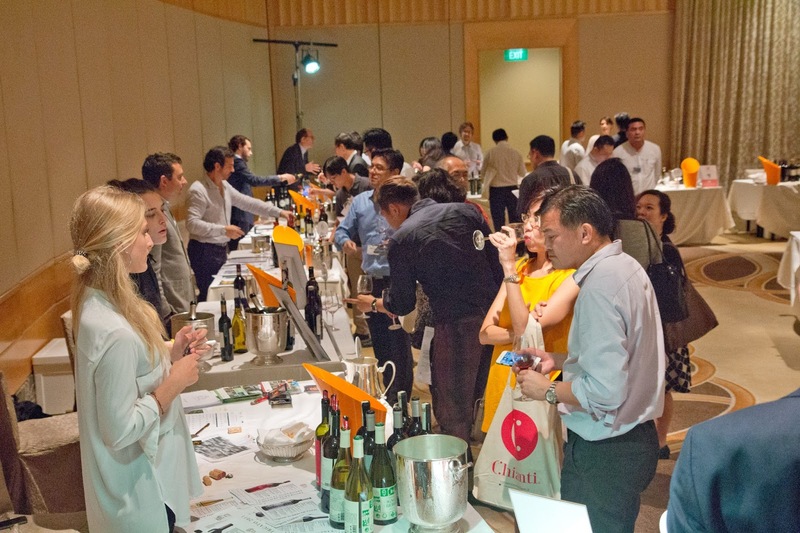 For the serious wine hobbyists, he hopes to provide a gathering place for like-minded souls to meet and explore a good range of wines from his wine list. One can add that he’s going in the right direction with the wine list. He has started by introducing wines from various countries. 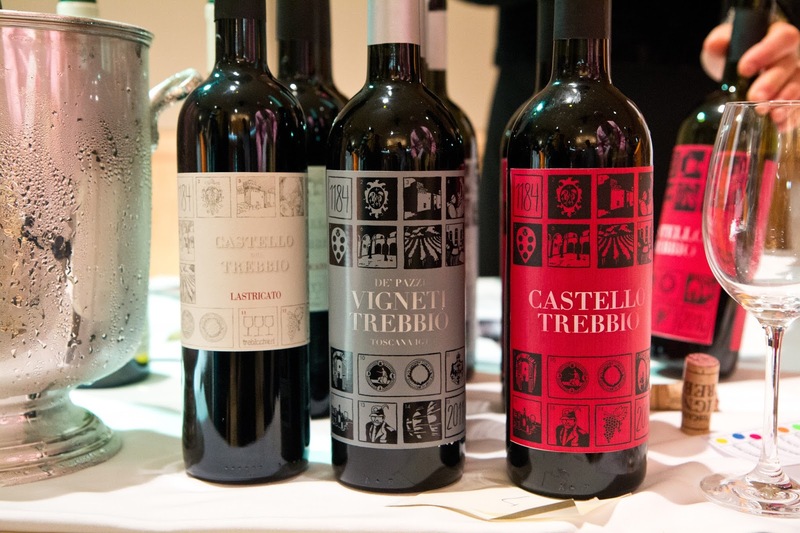 A good portion of wines come from France, Italy and Spain; and to keep the list exciting he has included wine labels from countries like Austria, Greece, Lebanon, Hungary and US as well. Prices start from $58 for a 2013 Domaine Magellan, Cotes du Rhone. Quite a number of wines are priced between $100-$200 ... and yes, there are those priced higher as well (there's a 1998 Romanee-Conti which stands at $19,988). Patrons can buy wine by the glass as well; a couple of wines are selected to cater to the curious wine enthusiast who wants to try different wines on a particular evening. 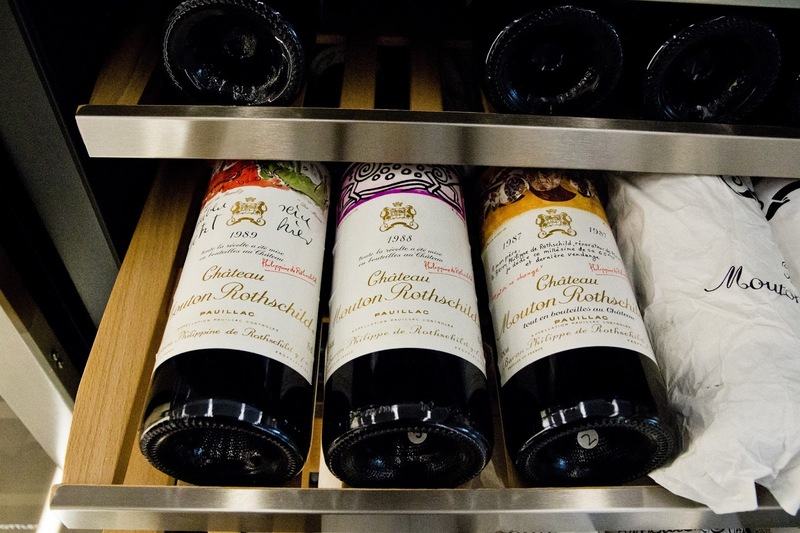 If you like more information on the wine, a particular winery or a wine region, the affable Head Sommelier is more than willing to make the time to share what he knows with you. 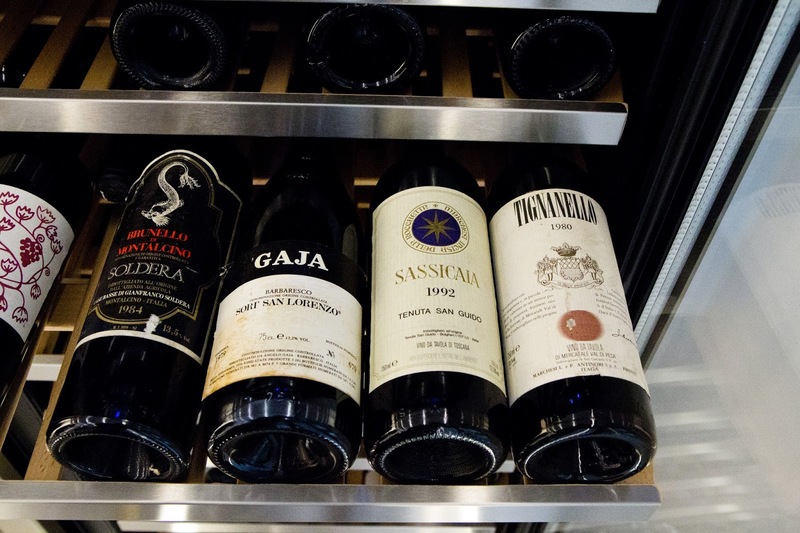 His wine list covers the gamut from sparkling, still whites & reds, dessert to fortified wines. For the curious, there’s also a vin jaune (yellow wine) ... the wine fermented and matured in a barrel beneath a film of yeast. This place can accommodate around 20 seated and a couple of standing customers as well. Operating hours are from 6pm to 11pm (its closed on public holidays and Sundays). You can contact Daisuke Kawai at 65321031 if you need more details or better yet, just drop by his place for a pleasant evening. 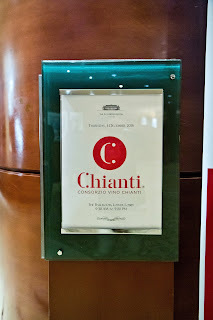 The morning started with a seminar “Chianti, The Pride of Tuscany” followed by a guided tasting of Chianti wines. 54 participants woke up and presented themselves promptly for this educational treat. Made up of trade folks and wine professionals, they took the opportunity to keep themselves abreast on the current affairs of the Chianti wine region. But to have a good grasp of the present, one also needs to know a little of the past; ‘how’ things were then and equally of importance, ‘why’ things were so. 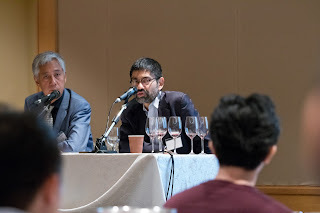 Respected local wine personalities Edwin Soon and Tan Ying Hsien, MW rose to this task and shared with participants the historical, geographical, viticultural, vinification dimensions as well as information on the laws related to the production of Chianti wines (both past and present). Tan Ying Hsien took the opportunity to discuss with seminar participants on the finer aspects to look for within a wine that goes to reflect good quality, constitution and ageability. Edwin Soon shared his views on how Chianti wines can be paired with local cuisine for consumers to derive an enjoyable experience as well. One was that the wines tasted during this session were 'across the set' clean and well made. The personality of each wine differs (for obvious reasons as they came from different sub-regions within Tuscany); but by and large 'good winemaking quality' showed in these Tuscan wines. 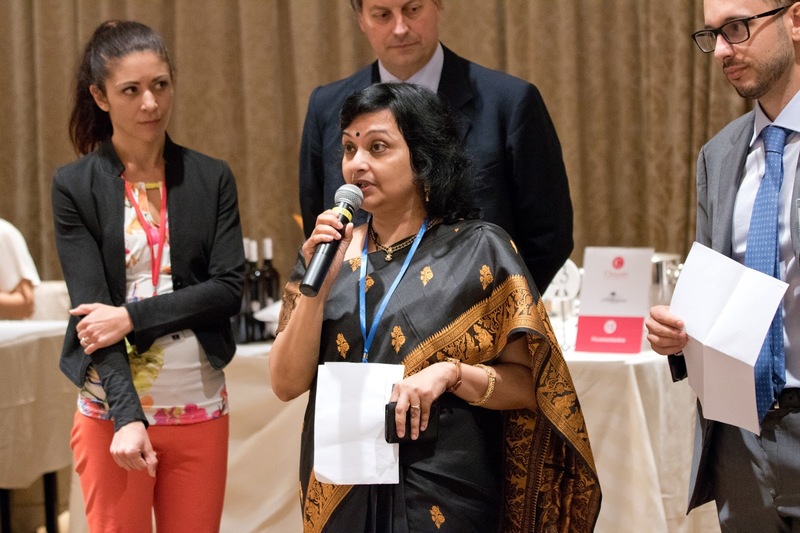 The second point was the worry that wines in the future may be crafted to win awards and gain mass consumer appeal rather than reflect the terroir and characteristics of the particular region a wine comes from. (A point often raised when discussing other wine regions as well). Afternoon saw a ‘walk around’ tasting for trade folks, wine professionals and members of the local press in Fullerton Hotel’s Ballroom. 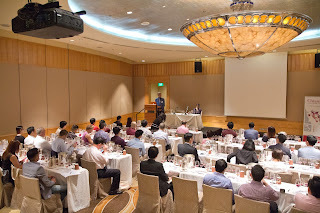 Around 200 guests attended the afternoon session. 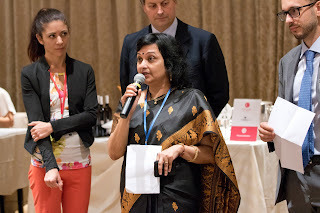 Ms Radhika (President of Felicitas Global) invited Mr Marco Cordoni (Deputy Head of Mission, Embassy of Italy) and Mr Giovanni Bussi (President of Consorzio Vino Chianti) to offer the inaugural speech for this event. The odd/unique ones. For me personally, apart from discovering a wine which shows good constitution and balance, the pleasure is in discovering wines made from varietals which I have not encountered before. It certainly ups the excitement factor and offers an opportunity to learn a little more. 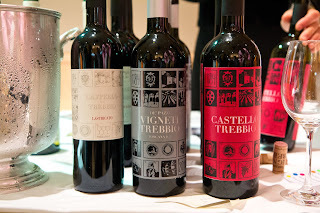 Castello del Trebbio had a white wine “Vigneti Trebbio Conglura” 2014 made with Pinot Grigio, Riesling and Manzoni Bianco; and a red wine “Castello del trebbio”2014 made with Sangiovese, Canaiolo and Ciliegiolo. 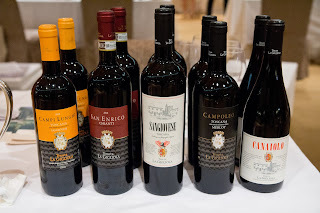 The Manzoni Bianco and Ciliegiolo varietals are certainly new to me. There were some straight varietal red wines as well; like those from Tenute La Gigliola. 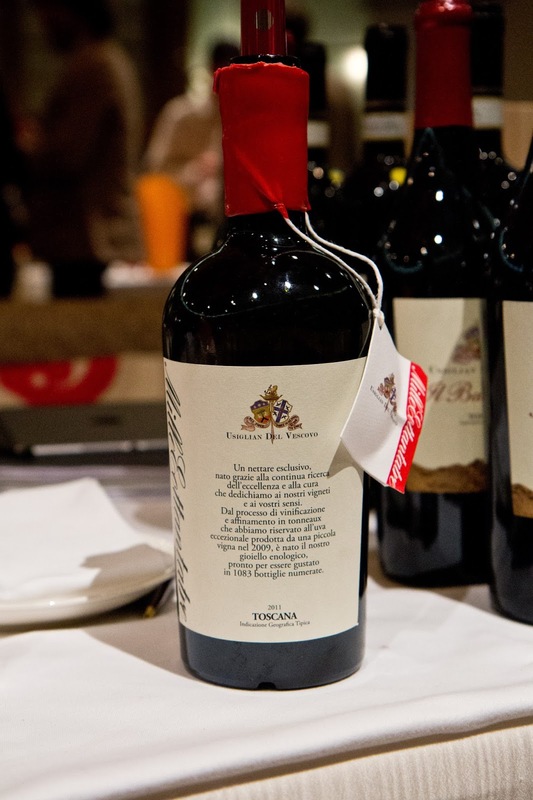 The IGT Toscaca Rosso “Canaiolo”2011 (canaiolo varietal) and IGT Toscana Rosso “Campoleo”2010 (merlot varietal) offered a counterpoint to red wines produced with multiple grape varietals. 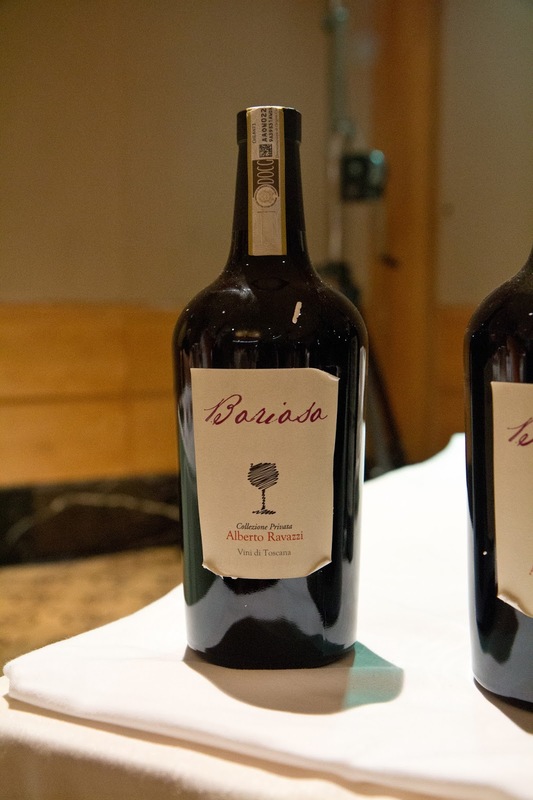 Bottle design certainly made some wines stand out when visiting a table. 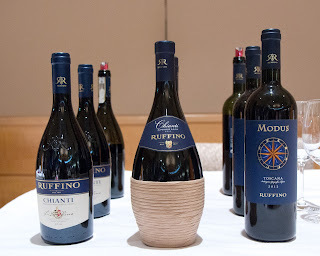 Guidi 1929 had a chianti red in a traditional fiasco; a ‘straw basket bottle’. Another producer who used employed the fiasco bottle was Ruffino who used it for the Chianti Superiore DOCG 2013. Short and stout bottles (used more for port wines) were in fashion too. 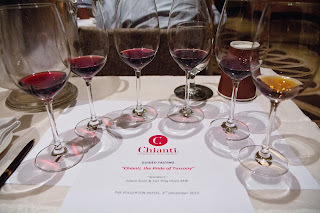 Ravazzi Vini di Toscana presented Chianti DOCG Riserva “Borioso” 2012; and Usiglian del Vascovo presented IGT Toscana Rosso “MilleEottantatre”2011 in such bottles which certainly were eye catching and brought curious trade folks closer to the respective tables.